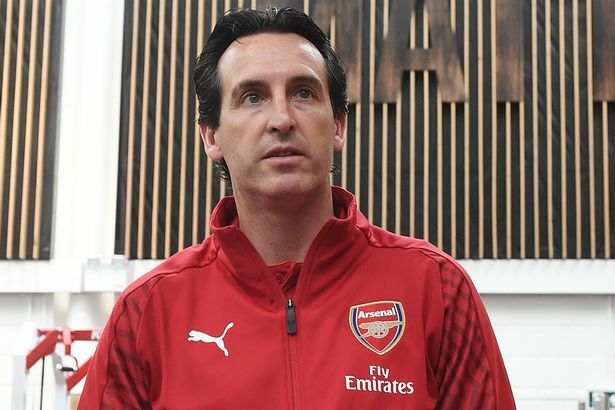 Arsenal manager, Unai Emery, has said his team was unfortunate not to beat Manchester United in the Premier League on Wednesday night. It could have been a first win at Old Trafford since 2006 for the Gunners, but Jesse Lingardâ€™s strike earned United a draw. â€œI am very proud for our work and how we responded in the 90 minutes. When we are winning it was a good moment but they equalised very quickly then we got up after their two goals. â€œIn the second half, our players worked to find a way to win. I think we were close, more than them, to do the third goal but De Gea saved two or three times with good action,â€ he told Sky Sports. Alex Iwobi also admitted his frustration over their failure to hold on for victory. Twice Arsenal took the lead but on both occasions, they were pegged back. â€œWe knew it was going to be a difficult game because Old Trafford is always a tough place to come. â€œI guess itâ€™s a hard one to take because we were ahead twice. Both teams fought hard, though, so I guess a draw is a fair result for both teams,â€ Iwobi said.